As a Virtual Assistant you'll find it easier to be productive when you know what you're doing. As your skills grow you'll earn more and of course, you'll have more time to do the things you love. So what are you waiting for? Choose your course from below, or join the Hub and access them all. 4 Hours of Video Tutorials just on Microsoft Outlook Email - take back control of your Inbox! Essential Microsoft Excel Skills for Business - gain the absolutely essential skills you need when running your own business or performing tasks for your clients. Imagine knowing exactly how to do the jobs that your client asks without having to scour the internet for answers! 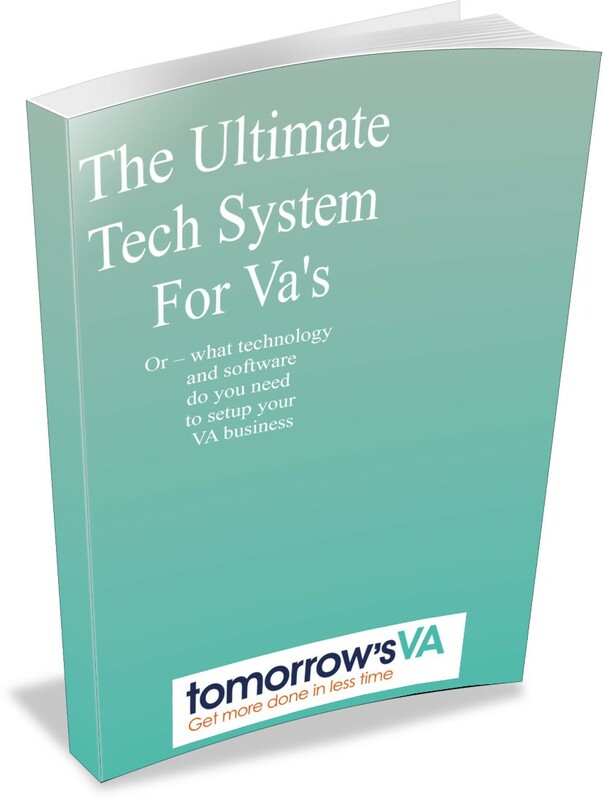 If you are a member of tomorrow's VA HUB then you don't need to imagine it! It is a reality. Join the HUB to get access to ALL the current courses and any new ones that get added - you get access to them before anyone else does, and with a schedule of future courses to create the value is immense. Master the Slide Master in PowerPoint - the Windows Version - get to grips with how the Slide Master works so that you can create branded presentations for your business and your clients business with ease. Master the Slide Master in PowerPoint - the Mac Version - get to grips with how the Slide Master works so that you can create branded presentations for your business and your clients business with ease. Learn how to harness the power of Styles in Microsoft Word (Windows) so that you can brand your documents in a flash! Are you a F.R.O.G VA? Fast, Reliable, Organised and Great? Members of tomorrow's VA HUB are! Join the HUB today and improve your earning potential! Learn how to harness the power of Styles in Microsoft Word (Mac) so that you can brand your documents in a flash! Find out what kind of tech you need, and what to consider when starting out along with the differences between all the types of Windows out there, whether to use Windows or Mac, which version of Office 365. Then learn all about how to get it, install it and get set to go, along with an introduction to using OneDrive and Outlook. In this course learn how to harness the power of PowerPoint to enable you to create Instagram posts right in your Office package. No need for extra software or licenses, Just use PowerPoint. Learn how to use PowerPoint to speed up the creation of Infographics. No longer head online to other software that depends on your broadband speed! Use the tools at your fingertips to create stunning Infographics that will wow your clients. Get all three PowerPoint courses in one Bundle! Get How to Create Instant Instagram Posts, along with Create Infographics using PowerPoint and the in depth course Master the Slide Master! All in one handy bundle Get all three courses for the price of two!